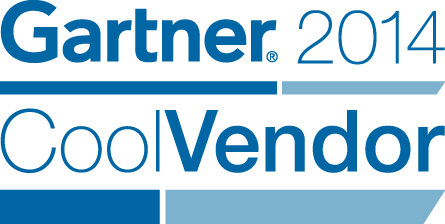 Wide Scope has been included in the list of “Cool Vendors” in the Cool Vendors in Supply-Chain Management Applications, 2014[i] report by Gartner, Inc.
“We feel you know you’re on the right track to achieve a unique positioning when you’re included in a Cool Vendor report by Gartner”, said Filipe Carvalho, CEO of Wide Scope. Gartner states that “Most supply chain leaders now recognize that using traditional brute force, such as cutting personnel or slashing inventory, to achieve their financial objects is futile, so they must focus on tools that can help them make better, faster and more judicious decisions” and according to Wide Scope’s CEO “this industry requirement drives our research”. Gartner does not endorse any vendor product or service depicted in our research publications, and does not advise technology users to select only those vendors with the highest ratings. Gartner research publications consist of the opinions of Gartner’s research organization and should not be construed as statements of fact. Gartner disclaims all warranties, expressed or implied, with respect to this research, including any warranties of merchantability or fitness for a particular purpose. [i] Gartner “Cool Vendors in Supply Chain Management Applications, 2014” by C. Dwight Klappich, Noha Tohamy, Christian Titze, Tim Payne, 15 April 2014.